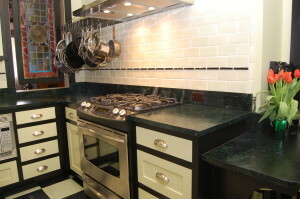 Soapstone backsplash whether 3 1/2 inches high, 6 1/2 inches high, or your preference can be very practical. Why? 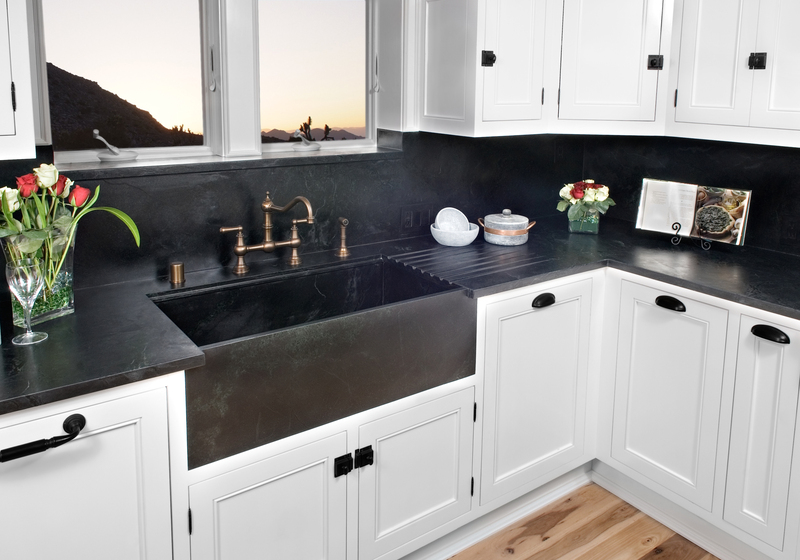 Soapstone is impervious to mold, mildew, or bacteria because of its high density. 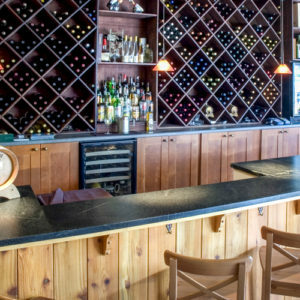 Then you can run your wall decor above your soapstone. Wow! Who knew? Soapstone is a great stone for countertops because of its unique properties. 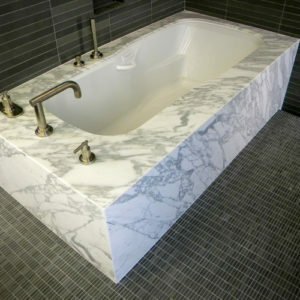 It is a non-porous stone that is naturally sealed. 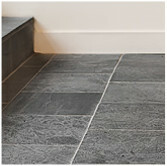 Soapstone is naturally very dense. 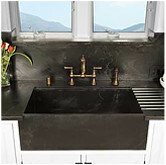 Soapstone is a great choice because it is anti-bacterial, as it will not absorb any moisture. It is also mold and mildew resistant. 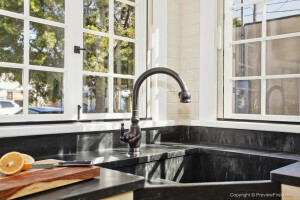 Soapstone is chemically inert, making cleaning easy. 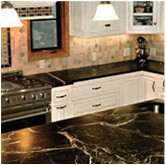 It is impervious to staining so wine, vinegar, and lemon juice will not harm this stone. 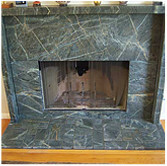 Soapstone can take temperature of anywhere from 2000 to 3000 degrees Fahrenheit of heat. 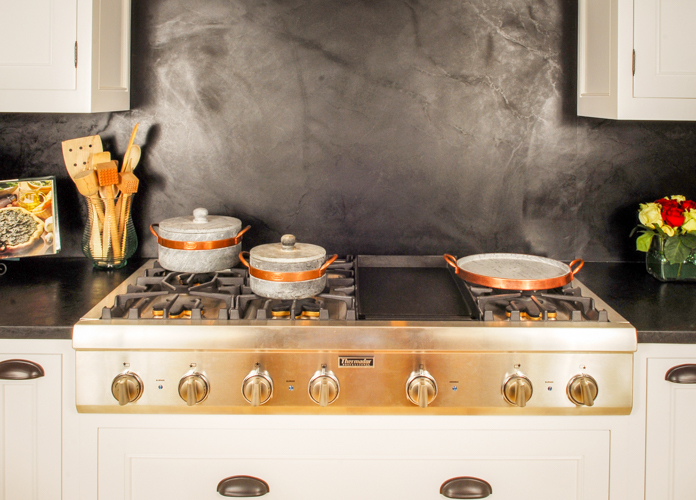 So never worry about placing anything hot straight from the oven on the soapstone countertops. 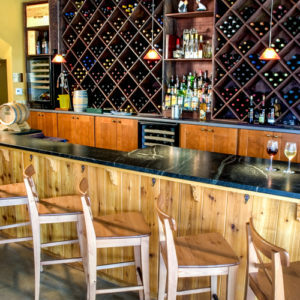 We have many testimonials on our website and on our Houzz! 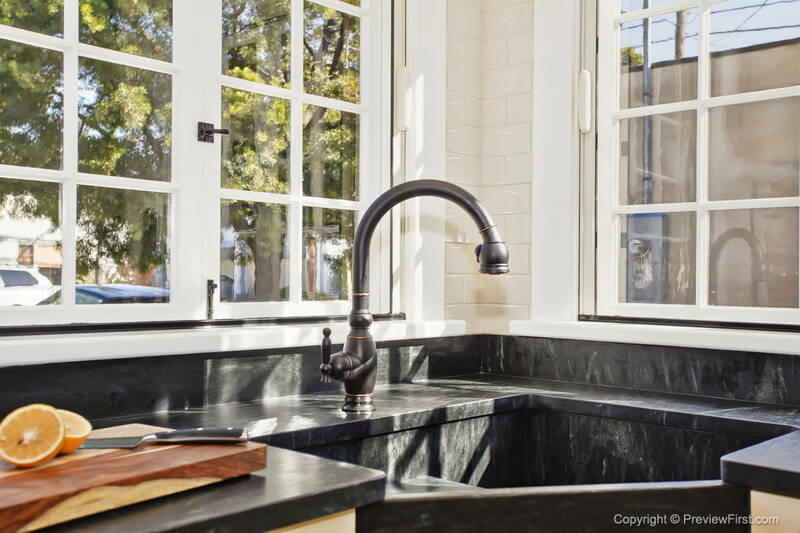 Soapstone has been a favorite for centuries. 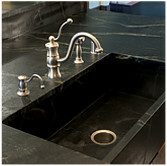 Because of soapstone’s unique properties this stone has been used for countertops longer than any other stone. It is easy to care for and clean up after. 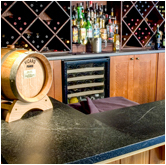 This stone is a sturdy surface that is almost impossible to hurt! 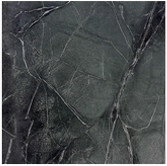 Soapstone has a beautiful matte black or matte green coloration with stunning marble veins or no veins at all. 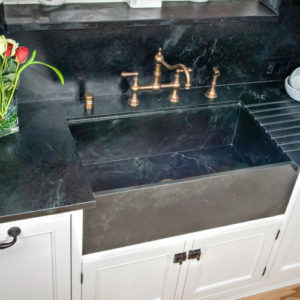 Soapstone has beauty and practicality in one countertop. 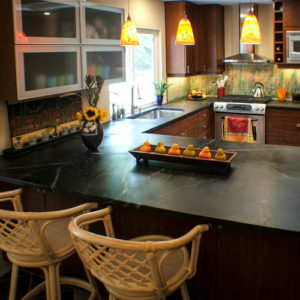 At Soapstone Werks we do custom kitchen and bath countertops. But the possibilities are endless! How about a beautiful outside kitchen? 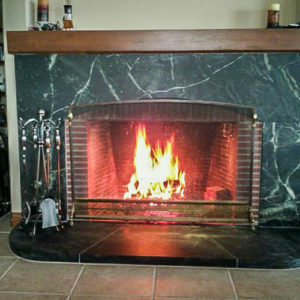 An artistic fireplace might be perfect for your home! If you can dream it, we can make it. 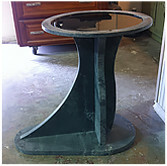 Come and see what sets Soapstone Werks apart from the rest.